Questions about Kichler Lighting 2093OZ? With a straightforward, contemporary design scheme firmly in place, the Wynberg Collection is a line of lighting that leaves nothing to chance. The simplicity of the Wynberg profile is accentuated by our high quality Brushed Nickel finish for a clean, timeless look. The satin-etched glass adds wonderful frosted ambiance and a fine contrast in texture. 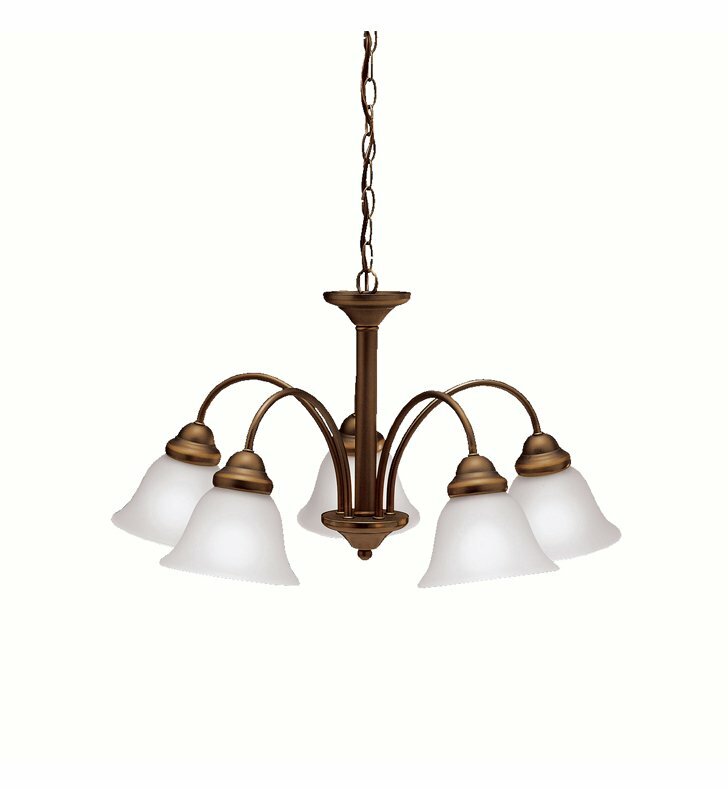 The 5-light chandelier uses 100-watt (max.) bulbs and measures 24 1/2" in diameter with a 14" body height. It includes 57" of extra lead wire with 6' of chain. Dimensions: H 13 3/4" x W 24 1/2"